1849 Mi.1, Posthorn 4C so-called. 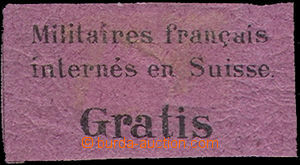 "Waadt", R close margin, postmark linear light and little overlapping, unattested, without garance! 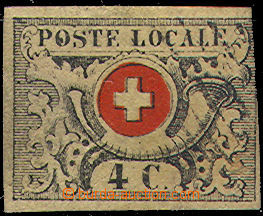 1858 1858 Switzerland Beautiful folded letter from Zurich through Coblenz to Amsterodam with all cancelations and Franco. All margines very good quality! 1859 1859 envelope with Mi.13 (tight cut on two sides), 16, cnl. Bern 1/Apr 59, postal note 55c, incoming Aarberg 2/Apr 59 on the back side.little damaged flap. very nice.